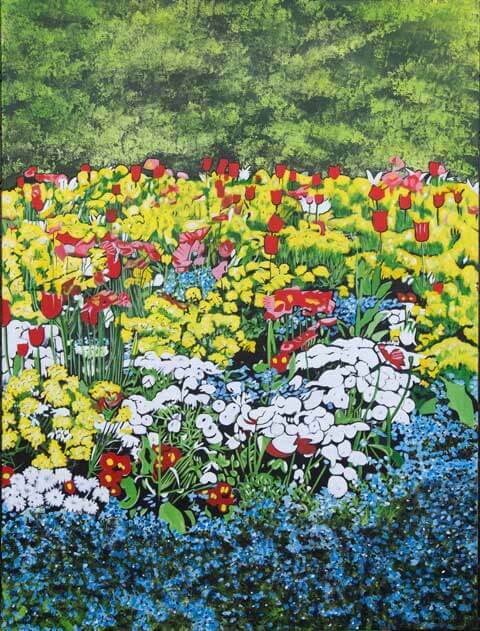 This painting was inspired by a visit to the Christchurch Botanic Gardens in spring time. At this time there were some very colourful flower beds in full bloom with a great mix of spring flowers on show. Theme: Floral Spring flowers , flowerbed, Christ church Botanical Gardens.